Can there be any drama to a story when you know the ending right from the beginning? Everything Is Changed answers this question with a resounding YES. When I closed the book after the final page, I had to pause and catch my breath. My delirious review on Goodreads: "Cinematic and devastating." Everything Is Changed is told in reverse, chapter about, as Alex and Jake (and occasionally Alex's girlfriend Ellie) move backwards from the moment when everything truly does change finally and forever towards the place where the changes began. The story navigates the near past to the seemingly insignificant, thoughtless moment that sets in process an avalanche of shame, clumsy grief, and regret. It's a chronicle of choices both careful and careless, the unravelling of a friendship and the loss of first love. And yet, much like Martin Amis's Time's Arrow, this is a story which appears to put back together the lives of its characters, to make whole the brokenness which becomes clearer just as it dissolves, chapter by chapter. It is gripping and compelling and acutely painful because, in spite of their choices, Jake and Alex are good boys, beautiful boys who love their families and each other. Jake is the sort of kid who watches crime shows just so he can chat to his single mum about the plot. Alex cares about his sister and his education. 'Jake and I are the good kids,' Alex says. 'We get mostly okay marks. We're involved in extra-curricular activities. Last night was a mistake. And now I'm not sure what to do with that.' Both of them are fiercely loyal to one another, a best-friendship for the ages. Until there is no friendship left to speak of. Because of the format -- the reversed timeline, the alternating voices -- Everything Is Changed should be confusing. But Nova Weetman is a masterful writer and, instead, the story is simply powerful and unsettling. Alex's and Jake's voices are distinct and finely drawn. There is drama, pathos, and suspense. It is beautiful and it is terrible, a powerful fictional exposition on Kierkegaard's belief that life can only be understood backwards. For the love of short stories -- and bad men. I first encountered the power of the short form during high school. 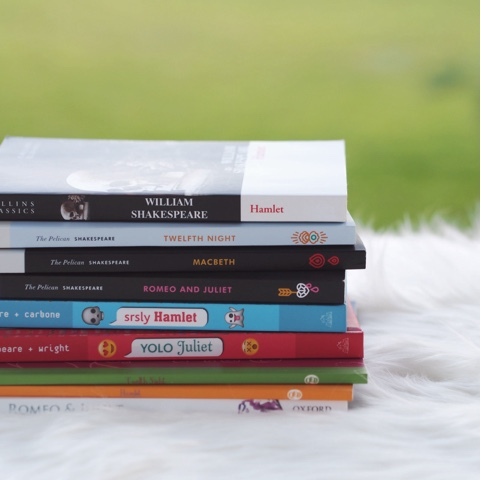 The curriculum covered a cross-section of English literature from Shakespeare through to Dickens, George Eliot and beyond. It also dipped into the short fiction of some truly great writers, and I was captivated. Something-something years later, I can still remember the feeling those stories left me with, even when the details of the narrative are fuzzy. It’s a sense of deep satisfaction at an arc of discovery perfectly executed. It’s that little gasp at the twist I didn’t see coming. It’s the unsettledness of a non-resolution that is somehow more right than a happy ending. It’s Guy de Maupassant’s The Necklace. O. Henry’s The Gift of the Magi. Katherine Mansfield’s The Garden Party. Tolstoy’s Where Love is, There God is Also. Shirley Jackson’s The Lottery. These stories cling to me even now, bearing a sense of wonder and breathless appreciation. Yet, in spite of their power, I often forget to read short stories. I think, perhaps, that the form is not as appreciated now as it once was, and certainly not as celebrated and honoured as longer fiction. Which means that it’s not as much in conversation, even though the writing of short fiction requires an entirely different element of mastery than the writing of longer forms. So I’m grateful for anything that pushes me back into the biting embrace of short fiction and reminds me anew of how fantastic it is. The last few months have done exactly that for me as I’ve dipped into short stories both new and old. Over the next little while I’ll be telling you about the short story collections I’ve encountered. 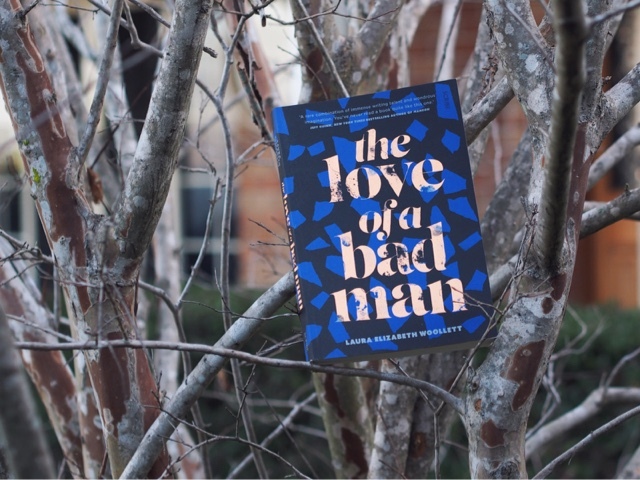 This week, it’s The Love of a Bad Man, an August release from Scribe Publications by ridiculously-talented author, Laura Elizabeth Woollett. The Love of a Bad Man is a collection of twelve short stories, each of which focusses on a woman in love with one of history’s notoriously “bad” men. There's Eva Braun, Hitler’s young wife; Blanche Barrow, a “fringe member” of Bonnie and Clyde’s gang and married to Clyde’s brother Buck; Charles Manson’s sister-wives. The stories of these and nine other women cross countries, generations, and settings to tell their tales in a blend of true crime and literary fiction. The voices are flawless, each one unique yet linked by a sense of destructive destiny as each woman surrenders her morality for the love of a man. These women follow their men willingly because they genuinely believe they must; it’s their allotted path. Sometimes deceptively sweet, these stories place softness and hardness side by side. The muted horror underplays the moral black holes these characters have stepped through and the focus is, instead, on the ordinariness of love and the magnetism of woman to man. It reveals the deceptions these women don’t even realise they’re believing -- or choosing not to examine -- coupled with woman’s capacity to love even the most undeserving of creatures. "Ray always had a plum way of mixing his lies up with something like truth," Martha says, at once acknowledging and pardoning. There's a chilling normalcy to the crimes that offers insight into the question, "But how could anybody do that?" For better or for worse, these stories bring out the person within the monster, and not the other way around. In other moments, evil lies right there on the surface, provoking revulsion and despair. Sometimes the darkness was so black I had to turn away and look at the sun for a moment – which says as much about the impact of these stories as it does about my own squeamishness. It is not surprising, then, that these stories will not be for everyone. What is surprising is how much empathy Woollett draws from these characters, showing how the women rewrite the meaning and significance of their actions to shape the narrative through the lens of their relationship. For the women of these stories, theirs are not acts of moral degradation but of love. Their crimes are not the taking of something from a victim but the giving of something to a lover. There’s a sense of sacrifice here which makes the stories and their characters at once disturbing and compelling. In The Love of A Bad Man, love is truly blind. At uni, I spent a semester studying the Australian sensibility. I remember that it woke me up -- as never before -- to what it means to write Australian literature, to make Australian films, to create Australian art. Of course, it also showed me that the Australian sensibility is quite unpindownable, a sort of indefinable something that is somehow imbued with the spirit of this country. When you see it, you recognise it, yet it would be impossible to define it according to a set of absolute characteristics. But ever since I spent fourteen weeks looking at it, I now unconsciously seek it out everywhere. In Becoming Aurora, a recent release from UQP books by author Elizabeth Kasmer, the Australian sensibility makes itself felt in the ever-presence of Queensland humidity during the mad summer season of the Christmas holidays. The sweat is tangible, as is the salt spray coming off the Sunshine Coast beaches near the characters’ homes. The looming majesty of the Glasshouse Mountains reminds us that, in Australian stories, the land is always a character, even if it never speaks. Just as powerful is the interplay between white Australia, indigenous Australia, and immigrant Australia, a complex combination of cultures and back stories that carries with it beauty and grief, hope and shame, warring emotions that may always be part of the Australian narrative. Rory is still grieving the loss of her dad four years ago. She is constantly disappointing her mum, and alternately frustrated by and desperately protective of her little brother. And when she is singled out for her role in an act of racist vandalism towards a local curry house, she is forced to bear the penalty, alone. Outwardly defiant, inwardly unsettled, and feeling betrayed by her best friend Cam and the crowd she has always hung out with, Rory turns up to fulfil her community service obligations with an enormous chip on her shoulder. Aurora's story plays out in those crystalline weeks as the year is ending and a new one beginning, a season of finishes and a season of starts. As Rory is pulled from the comfortable familiarity of what she knows and is thrown into entirely new settings, she meets new people – among them a grumpy old man and a dark-eyed Iranian boy – whose growing place in her life shape this into one powerful summer. Becoming Aurora captures the vast sense of possibility that hangs in that time at the end of school, over Christmas, with the promise of a new year’s fresh beginning. It also captures what it means to grow up, and how growing up often looks like stepping out from your own protected hiding place and examining life from another’s point of view. It means putting aside your own biases or discomforts and recognising the hurt and lostness in someone else. It means taking responsibility for your own actions and breaking a new path for your future. It's as much about becoming an adult in Australia as it is about becoming Aurora. Australia’s future, just like Aurora’s, will be peopled by a multitude from the world over. Books like Becoming Aurora are an important and beautiful way to engage our hearts in this conversation. They make us consider what it means to be Australian, and what it will look like to build an Australian sensibility we can be proud of. I love it when I’m reading a book, and then I stumble across an interview with the author on the radio, or I catch a film set in the exact location and historical period of the text, or someone loans me a book by another author from the same school of thought as the first. It feels like a holistic education into this author’s world. I’m no longer dipping my toe into their ideas; I’m being dunked completely, and it’s great. It’s probably the Baader-Meinhof phenomenon at work, but it feels like serendipity. And for the past few months, my serendipitous Baader-Meinhof encounters were all about Shakespeare. He managed to find his way into everything, and I couldn’t be happier. In my work as a private tutor, I got to walk with a number of high school students as they met Macbeth and absorbed The Taming of the Shrew. I also worked with some middle grade students as they started on an introduction to Shakespeare, exploring Twelfth Night and Romeo and Juliet. I was careful not to delve too much into Shakespeare’s cheeky sexual allusions – which are kindly oblique for a younger audience – but I was thoroughly impressed with how willing these students were to wrap their minds around Shakespeare’s language, to master the nuances of iambic pentameter. Here were kids twelve and under, some of them still mastering basic English spelling rules, delighted to read lines together, to be assigned roles as characters in the plays, and to mark up the rhyme schemes of a Shakespearean sonnet. When we discussed how most of the women’s roles were played by men in Shakespearean times, an eight year old piped up, “So that means Viola would’ve been a man acting as a lady acting as a man? How confusing!” Yes, adorable clever cookie, you nailed it. The Shakespeare love continued in my short commute to work, as I listened to Bolinda’s audiobook of Anne Tyler’s Vinegar Girl. If you’ve not experienced audiobooks before, you might not realise just how much reading you can power through in a twenty or thirty minute trip. And Vinegar Girl proved to be ideal for pre- and post-work listening, a perfect blend of drama and comedy. 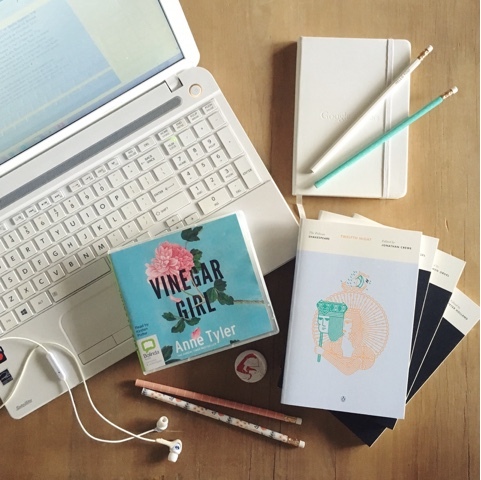 Vinegar Girl is part of the Hogarth Shakespeare series launched in October 2015, reinventions of some of the bard’s greatest works, newly imagined by incredible authors including Margaret Atwood and Tracy Chevalier. 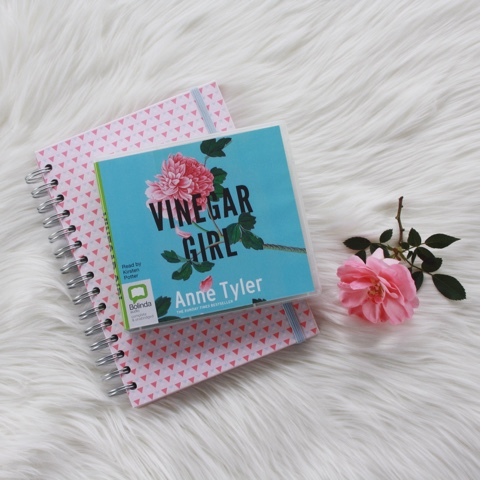 Vinegar Girl is Anne Tyler’s take on The Taming of the Shrew, tweaked to tell the story of twenty-something Kate Battista. Kate is stuck in a job she’s intellectually over-qualified for, does too much chasing around for her absent-minded professorial father, and is frankly concerned about her spoiled and occasionally vacant younger sister, Bunny. That her father and her sister take Kate for granted is a given. What Kate does not expect is her father’s sudden request that Kate fill the role of wife in a hastily-arranged green card marriage to Pyotr, Dr Battista’s soon-to-be-deported research partner. Vinegar Girl is truly a delight. It manages to strike all the high points and hilarity of Shakespeare’s play, but somehow avoids the ickiness that jars in the original plot. Vinegar Girl also captures what feels like a recent and relevant confusion, the sense of delayed adolescence and the challenge of hitting that magical space between reality and expectations. I did not expect Vinegar Girl to be so relatable, but I found myself first horrified by the proposition Kate is offered, then cheering for her as she claims agency for herself and makes brave and daring decisions. This was a seriously fun book to hear, with a very satisfying conclusion. Finally, the Shakespeare joy continued when I was able to see Twelfth Night performed locally by the Queensland Shakespeare Ensemble. My mother and I spent a mesmerised evening thoroughly transported by QSE’s interpretation of this beloved, ridiculous tale of mistaken identity. It was incredibly funny and incredibly musical – fast-paced, uproarious, traditional yet contemporary. And it was a special treat to see theatre-goers of all ages laughing and relishing every Elizabethan moment. The power of Shakespeare is truly alive and kicking.